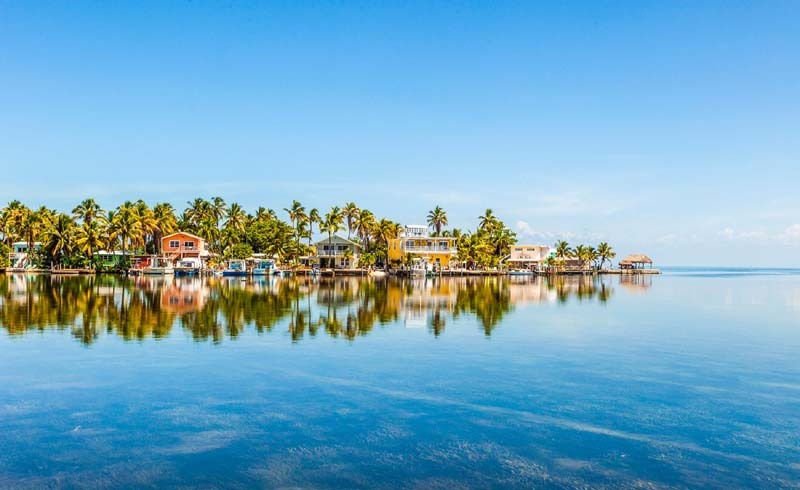 Florida is a state that is famous for its beaches and its coastline, and for those who enjoy frolicking in the sand or enjoying the waves as they lap the shore, then Florida is one of the best destinations for them. There are plenty of gorgeous beaches around the state that are on isolated islands or islets that can only be reached by boat, but those aren't usually ideal for those planning a road trip. Here are five of the top beaches that can be reached by road, and offer the stunning combination of sea and sand that is complemented so well by the state's pleasant climate during the tourist season and year-round. 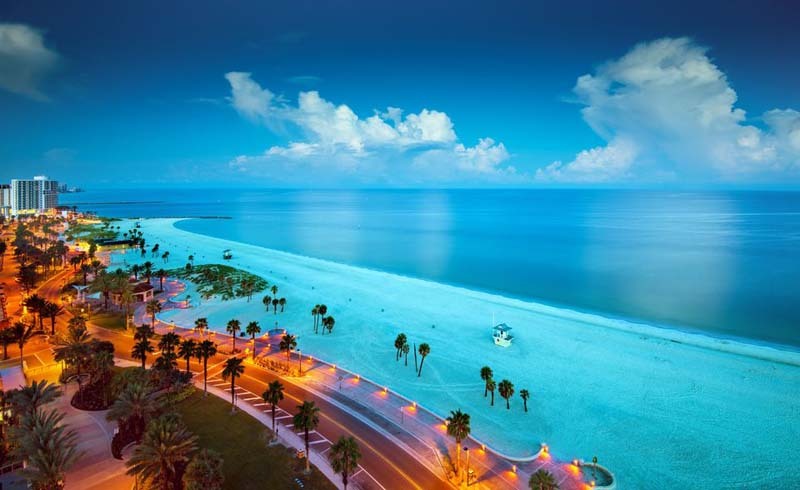 This is a beach that lies a short distance from the city of Clearwater, which is around twenty miles west of Tampa and has frequently won awards for the high quality of the beach and its surroundings. While the 2.5-mile stretch of golden sand and clear waters are a great attraction, this beach is also ideal for those who are looking for a fun day with the family. Pier 60 is a great place for those who are looking to enjoy street performers, musical acts, and a playground, while there is also a range of activities including dolphin spotting, parasailing, and jet skiing, as well as some good nightlife at the nearby bars and restaurants. 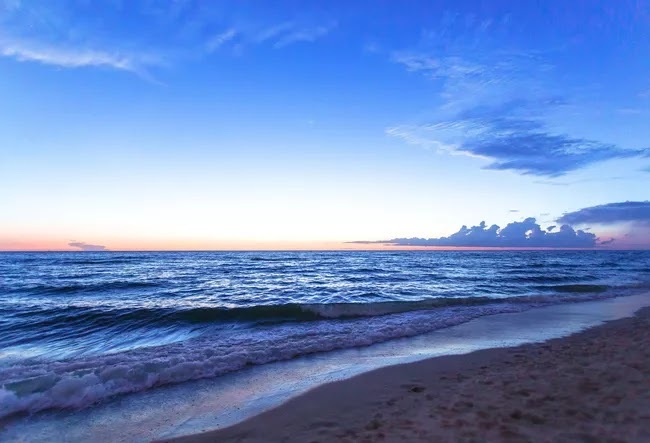 For those who are looking for a peaceful and quiet area to relax and enjoy the natural surroundings, the Delnor-Wiggins Pass State Park is at the north end of Naples Beach around 6 miles away from the town itself. The stretch of golden sand is well maintained and clean, while the waters are clear for swimming. As well as simply relaxing on the sand, there are also plenty of other activities available, including spotting the local wildlife which includes sea turtles and manatees along with a range of bird species. Scuba diving, snorkeling, and kayaking are also popular in this natural haven. 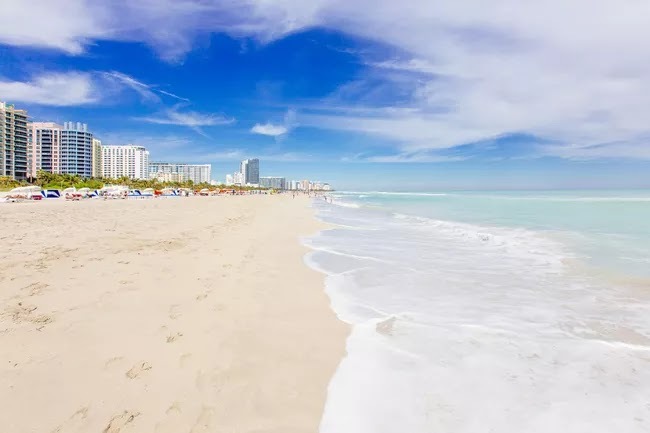 This is one of the most famous beaches in Florida is Miami's South Beach, and its popularity has seen it immortalized in song and on television, including the popular TV series Burn Notice. 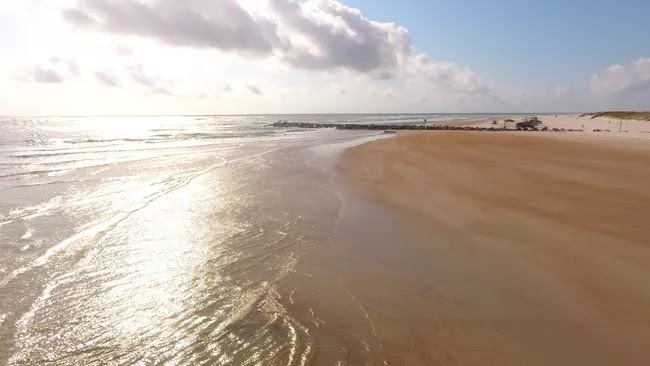 There are plenty of other reasons to head to the beach here, which has some gorgeous water for swimming and plenty of facilities including sun beds, umbrellas and some great waves for surfing. This is a perfect place to enjoy a party too, and the nightlife in South Beach is famous for offering a wealth of restaurants and bars which means that the good times don't have to stop when the sun goes down. 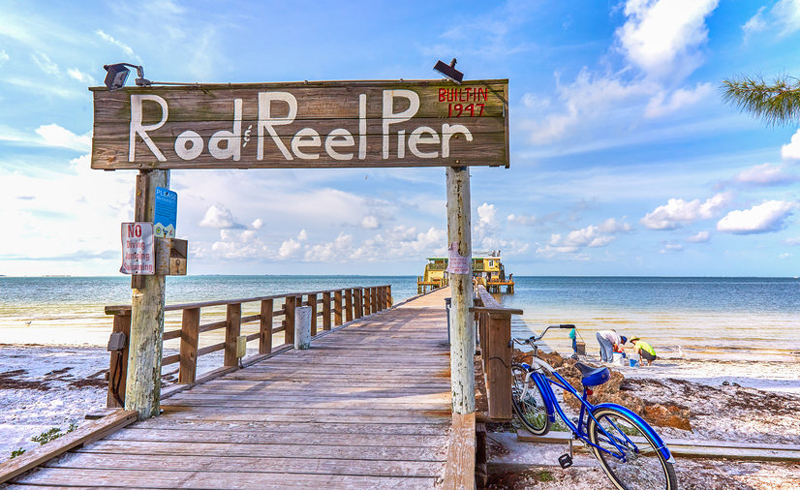 Lying on Florida's Atlantic Coast, this is a great beach for those looking to get away from the large and overdeveloped beach towns that can be found in many parts of the state. The waves coming in from the ocean have made this a great beach for surfing, and although the waves do make it a little rough for swimming, it is still fun jumping the waves, and relaxing in the sun during the summer. It is also worth noting that the entrance to the beach is from the town of the same name, which has a pleasant range of bars and restaurants, with the town also being acclaimed for its cool nightlife. New Smyrna is one of Florida’s least known beaches, and as it becomes more popular, tourists will flock start to flock to its sandy shores. This popular beach is most famous for the high-quality sand which is white and beautiful and helps to make this one of the most attractive beaches in Florida. If you’ve ever wanted to lounge on a beach with the softness of flour, this is one of the most remarkable beaches you’ll ever walk across. Another great reason to head to Siesta beach is that the water is shallow, making it ideal for paddling and swimming even for those who aren't particularly confident swimmers. 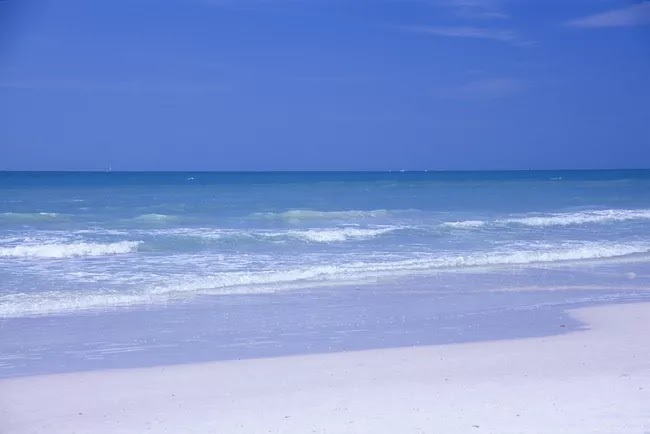 The beach is located on Siesta Key near the city of Sarasota and has won many awards, including the award for the best beach in the United States in 2011.